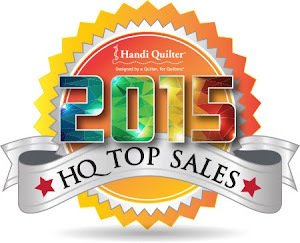 Every year on the third Saturday in March the National Quilting Association sponsors National Quilting Day. This year it's coming up on Saturday, March 19th. The theme they are putting out there this year is "Build Your Own Log Cabin" ~ there's even a free pattern available for download here on their website! In honor of National Quilting Day, the Quiltsy Team on Etsy (which I'm a member of) has joined together in a fun promotion...The Sisterhood of the Traveling Quilt Project! 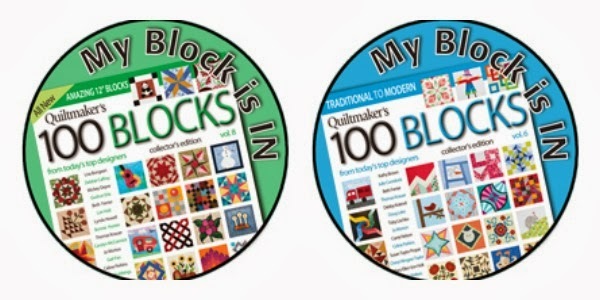 Members from the Quiltsy Team from all over are making their own version of a log cabin block, then sending it on to the next person in their assigned row. The blocks, then the rows will all be sewn together to make one quilt made by many! The colors agreed on were blue and green. I'm assigned the last leg of the North East member's row. I'm still awaiting the rest of the row to arrive for me to add mine, but in the meantime her's a sneak peek of my block that I just made! Wow, I've been still fighting this cough that I've had for two and a half weeks now, and thus haven't really been doing any of my regular things that I love to do. I've just taken a total break, even from the computer (I find I need a computer break every now and again anyway). In the early mornings and evenings when I do a lot of my computer work, I've been so wiped out, I've just been vegging in front of the TV ~ and often times napping...So anyway, now I'm ready to get back into the swing of things and catch up on the goings on in the Quilty neighborhood of Blog Land. I've done a little bit of sewing this week, but nothing that I can show just yet, so I thought I'd share my newest pattern offering :) This is my Fun and Flirty Apron made with the Still fabric collection from Loralie Designs. The apron is fully adjustable, has a cute little pocket flap on the front (I always have to have pockets on me), and a built in loop to hang a dish/dust rag. The ruffle and little touch of ric rac, gives it some fun, the floral is perfect for upcoming Spring entertaining, and the black background gives the roses a more flirty appeal. It never fails, just when I have a busy week with lots of deadlines looming, that's when I tend to get sick. Well that's what happened last week. With a week already full with things to do, I decided that Wednesday night I needed to make it more interesting by starting to come down with the flu. Luckily I had picked a design for my Project Quilting project that was not too complicated, and I was able to finish it by Friday before I really became worthless for the rest of the weekend. The challenge was to go for a Valentine theme without it being overtly pink/red. Right away I came up with "Puppy Love", a quilt that can hang on a door, or the wall in a mud room, that has plenty of pockets for holding all of those dog supplies that need to be kept together and handy when needed, but up and out of the way when not. I like to make quilts that are functional and this one has four square pockets are made of wool for nice texture and sturdiness, then two larger pockets that are made of cotton, and sectioned off. 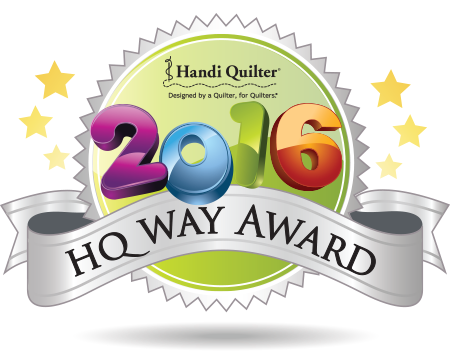 The Project Quilting voting is up now. Go Here and check out all of the wonderfully creative entries, I'm always in awe of what everyone comes up with ~ and make sure you leave a comment to be entered in the give away! I started with (36) 2 1/2" squares that I cut using my Value Die (#55018) that came with my Accuquilt Go! I totally used scraps, just randomly stacking about 4 layers at a time and running them through the cutter. I arranged the squares in (4) rows of 7 squares, (1) row of 5 squares, and (1) row of 3 squares. Press the seam allowances of each row in the same direction, and the row next to it in the opposite direction. Then sew the rows together. I clipped the seam allowances on each side of an intersecting seam and pressed the seams open to help it all lay a little flatter. Then using my handy dandy Whitman's Sampler candy box, I traced around it to mark my overall heart shape, and cut out on the line. Before I layered my little quilt, (this picture shows the finished quilt top later after it's quilted), first fuse some paper backed fusible web to the back of some red fabric, then cut out a medium heart shape from the Accuquilt Go Heart Die #55029. Fuse the little heart to the front of the pieced heart quilt top, and blanket stitch around the red heart. I didn't snap a picture of this step either (sorry - been sick and I'm very unorganized this week), but I layered this pink floral backing fabric right sides together with the heart front that I cut out (and under the backing fabric, I had a layer of batting). I sewed all around the outside edge at a scant quarter inch seam allowance, leaving about a two inch opening for turning. Trim the seam allowance, clip corners and at the inside point of the heart, and turn right side out. Make sure the entire seam is completely turned out, press (tucking in the opening), and top stitch all around the outside edge of the heart about a 1/4 inch from the edge. 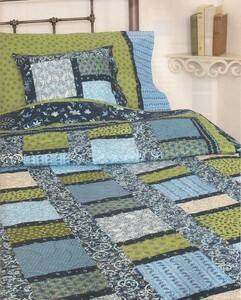 Then lightly quilt the little quilt, and enjoy! This makes a generous sized mug rug, or a cute little candle mat. 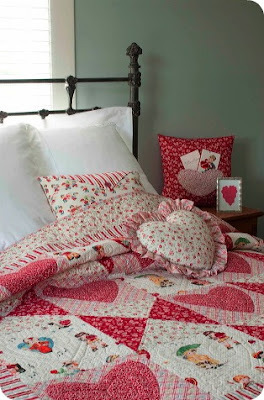 Check out Sew Cal Gal's blog for links to other Valentine themed projects from the Bloggers Who Love Their Accuquilts Team. Happy Valentines Day!! I started by cutting out two pieces each of these three shapes from wool scraps. Any heart and flower shapes would work, but I used my Accuquilt Go! to cut two each of the large heart and smallest heart from die #55029 Hearts, and two of the large flower from die #55045 Rose of Sharon. I sewed a scant quarter inch all around the outside edge, then carefully cut a slit in only one layer. I clipped the seam allowances along the curves and then turned the shapes right side out through the slit, and using a ball point bodkin (a knitting needle would work too) I pushed out all the points and slid it around the seam to smooth all the edges. Then slip stitch the little slit closed on the back side. Finally, embellish with a cute little button or other decorative item, sewing through all the layers to hold the pieces together. 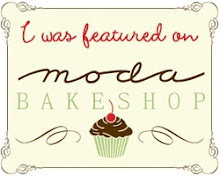 This would make a cute pin, or a nice embellishment for a hat or bag. I'm going to attach mine to a project that I'm currently working on...hopefully I'll have it finished soon! These are the bonus pillows that are included in the pattern with the quilt. Right now this arrangement is layed out in my guest room. I like the versatility of this pattern so much, that now I've picked out some fabrics to make it in juvenile prints for a big girl Mountain Baby Blanket donation...and I think maybe my grand daughter needs a heart quilt too...I think I can squeeze in a couple more in between other things ~ that's not too ambitious is it? In between other projects I've been working on patching up this Old Girl. This is an example of one of the blocks where the fabrics have torn away. Searching all the local stores trying to match the old fabrics has been quite an adventure. Notice that the "batting" was an old blanket ~ I love that! And for the winner of my quilt book give away...Random.org gave me #2 ~ Pamela! A February Give Away Just for Fun! 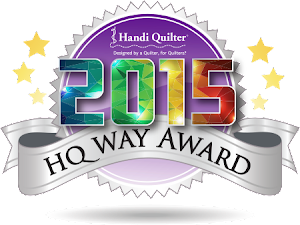 I also wanted to mention the voting is up for Challenge 2 of Project Quilting. My Laurel Quilt, pictured above is my humble entry this week. You can see all of this week's fabulous entries and vote for your favorite, and leave a comment there for more give aways! 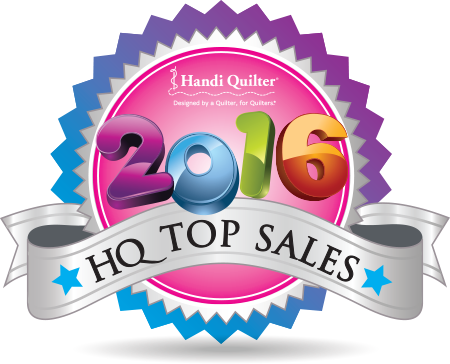 And, My Chutes and Ladders kits (pattern found in Quilt Almanac 2011) are selling fast, so don't miss out on the kit in this beautiful Oasis fabric collection!